Judge Wilner hears civil motions on Wednesdays at 9:30 a.m. Please check the Closed Motion Dates before filing a motion. It is not necessary to clear a civil motion date with the Court before filing the motion. The parties must contact the courtroom deputy clerk to schedule all motions in criminal cases. 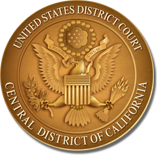 If the parties have a discovery dispute, they may contact Judge Wilner by e-mail (MRW_Chambers@cacd.uscourts.gov) to request a telephonic conference with the Court before filing a discovery motion. The request must: (a) include a BRIEF description (two- or three-line summery) of the dispute and the parties’ contentions; (b) indicate that the parties have been unable to resolve the dispute informally; and (c) copy all parties on the e-mail. Note that Judge Wilner generally is unlikely to order relief during an informal call in the absence of a fully-briefed motion. The Court encourages larger law firms to give junior attorneys an opportunity to participate in the resolution of discovery disputes on telephone calls or at hearings. However, lead trial counsel must be present for all such proceedings. The Court recognizes that Local Rule 37-2.1 exempts discovery motions from the 25-page limit applicable to most briefs. The Court finds little value, though, in reviewing oversize joint submissions that consist of repetitive recitations of the challenged discovery and the parties' legal positions. For any motion that the parties reasonably believe will exceed 50 pages, they may present the challenged discovery in an appendix attached immediately behind their joint brief. The parties may also refer the Court to the first iteration of their mutual positions (e.g., "See Section 1.a") rather than cutting and pasting those statements ad infinitum in their memorandum. The Court encourages the parties to amend and use its preferred form protective order (available below). The parties may also provide a red-lined version of the proposed order to the Court to highlight significant changes that they've made to the form order. In a civil case involving an individual in custody, the moving party must file the motion without requesting a hearing date. The Court will review the moving papers to determine whether a hearing is necessary. All motions in limine to be heard at the pretrial conference must be filed in a joint format. Neither party's section of any joint motion will exceed five pages in length. The parties must file joint jury instructions (and submit a clean, unannotated Word copy to the chambers e-mail) for all substantive causes of action, defenses, and specific evidentiary or trial practice issues. There is no need to submit the Court's introductory or concluding form instructions. If there is a dispute regarding a particular jury instruction, the parties will submit a single document that offers each party's proposed instruction and supporting argument. The Court strictly enforces the exhibit list and pre-admission requirements of Local Rule 16-6. The parties will submit a joint exhibit list along with any necessary legitimate objections to the proposed materials (other than relevance or cumulativeness - to be taken up during trial). Formulaic or meritless evidentiary objections that need to be resolved at the pretrial conference may be the basis for sanctions. When an exhibit has been admitted (whether before or during trial), the parties may publish it to the jury without seeking permission from the Court. The Court conducts the first day of trial from 9 a.m. to 4:30 p.m. with a midday lunch break. After that, trial will generally run from 8:30 a.m. to 2:30 p.m. with no lunch break - just two breaks of approximately 20 minutes each. Trial lawyers are expected to be in court no less than 30 minutes before the trial day begins. Consistent with local practice and FRCP 50(a), a party may be deemed to have rested its case if that party runs out of witnesses before the end of a trial day. Federal law enforcement agents and the U.S. Attorney’s Office are encouraged to advise the courtroom deputy clerk in advance of the anticipated submission of warrants, criminal complaints, and other applications for the Court’s review. In advance of any bail review hearing, defense counsel is directed to have a face-to-face meeting or telephonic discussion with the assigned AUSA regarding the defense request. Defense counsel are further directed to provide any relevant information (including accurate contact information for potential sureties) to the Pretrial Services Agency at least one full business day before the hearing. Document Duty E-Filing Requirements - Per the Court's e-filing pilot project, the government will e-mail items to Judge Wilner's criminal mailbox (MRW_crimduty@cacd.uscourts.gov). Hard copies brought to chambers should bear a CM/ECF header if the government is not able to send this information by e-mail. Do not staple chambers copies (use clips) or use blue-backs. If an agent wants conformed copies, s/he must bring those items to chambers. Please call Judge Wilner's CRD with further questions. Any attorney who wishes to appear at a hearing by telephone must make such a request at least two court days before the hearing. The attorney requesting a video appearance via Skype (generally reserved for out-of-district litigants or those with mobility limitations) must contact the clerk one week in advance of the hearing and provide a valid Skype ID. Requests to reschedule a hearing, conference, or other proceeding must be electronically filed with the Court. The parties must contact the courtroom deputy clerk as soon as the need to reschedule a proceeding is discovered. The parties are not allowed to contact or communicate with the judge or his law clerks in any manner without express authorization from the Court. Letters to chambers are strictly forbidden and may lead to sanctions against the offending party. For general information on how to order a transcript of any reported or digitally recorded proceeding, please contact 213-894-3015 or visit the Court's website (www.cacd.uscourts.gov) at the section regarding Court Reporter/Recorder Transcripts. If you require an estimate of cost for the preparation of a transcript, contact the court reporter/recorder for the desired proceeding. ​Judge Wilner DOES NOT REQUIRE COURTESY COPIES of documents electronically filed after August 3, 2017. The only exception is for summary judgment motions and oppositions in civil cases. Mandatory chambers copies of those documents must be delivered to Judge Wilner's drop box (outside Room 1200 - 12th floor) by noon on the day after filing. Chambers copies do not need to be blue backed. In habeas corpus cases and Social Security benefit appeals, Judge Wilner does not require hard copies of materials that are lodged electronically. Electronic copies of proposed orders (in Microsoft Word format) must be e-mailed to the Court at MRW_chambers@cacd.uscourts.gov.